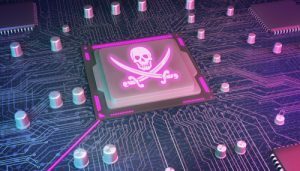 The recent news that a huge number of chips currently installed in a range of PC’s, laptops and other devices is of concern to many businesses. It represents an unprecedented Cyber Security threat. The two main vulnerabilities, codenamed Meltdown and Spectre are weaknesses that could be exploited by criminals to access your data and IT systems. The flaws leave a potential door open to cyber hackers in over 80% of PC’s worldwide. In Australia, the Privacy Law changes enforced by the Notifiable Data Breaches scheme will begin in February. This represents an increased exposure to many businesses of in-house losses and fines and penalties. Stealing personal data could be even easier for criminals now and the consequences for Australian businesses even more acute. Cyber Security Insurance can be a part of the solution, especially when you consider the high potential costs and expenses involved in a cyber breach. Update software automatically or as soon as you are prompted. Use common sense when opening attachments and unusual emails. Backup your files- the more often the better. Think about developing a disaster recovery and cyber security plan. The Australian Cyber Security Centre (ACSC) recently reported that about 90 per cent of small businesses and organisations experienced a cyber threat or data breach in 2016. If you want to discuss how Cyber Security Insurance could be useful in dealing with this and other IT related risks, feel free to contact us.